The Tri-Island State of Grenada, Carriacou and Petite Martinique gained independent statehood status on 07 February, 1974. The euphoria of this momentous occasion has been celebrated each year with great exhilaration. Intervention by the higher forces that preside over such matters as calendars and dates would not have been able to sufficiently and satisfactorily sort out the dilemma of February 1978. On 07 February 1978, Grenada was going to celebrate its fourth (4th) anniversary of Independence. That same day would have been the culmination of the 1978 carnival season, Carnival Tuesday. The then Prime Minister, Sir Eric Gairy thought it a good idea to have the 1978 Carnival culminate on Easter Monday and Tuesday, which was to be celebrated in the later part of March. As expected the idea did not go over very well with the Council of Churches and an impromptu survey throughout the various denominations served as evidence that the wider populace was not in favour of combining one of the Holiest times of the year with a popular secular festival. An alternative date in May was then set and so the Carnival celebrations took place for the first time during the fifth (5th) month of the year. With the overthrow of the Gairy Government in March of 1979 and the ensuing tensions that followed, the 1979 Carnival season was cancelled altogether. However, in 1980 the People’s Revolutionary Government of Maurice Bishop brought back Grenada’s biggest and most important cultural undertaking. The May date was adopted for the 1980 Carnival season — in fact the PRG used the occasion to assure the outside world that all was well with Grenada; at least the advertising for the season suggested that. After lengthy consultations and feasibility studies the PRG decided that the month of August provided the best opportunity for the full benefits of Carnival to be realized. 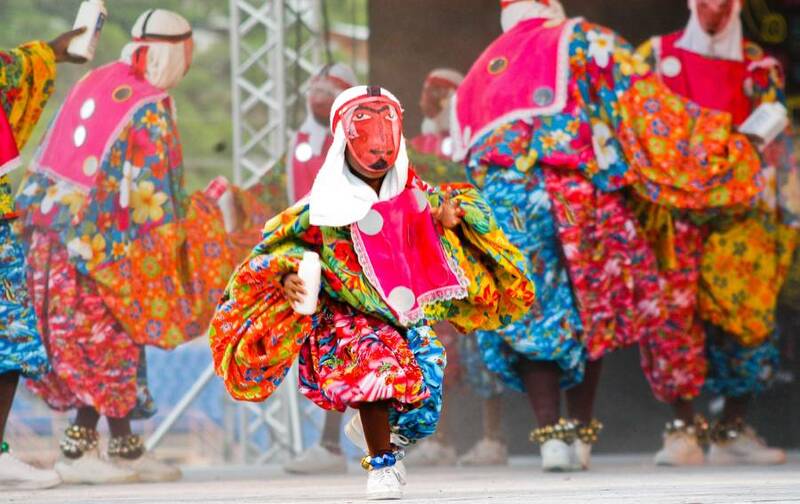 There was the lack of competition from Trinidad and Tobago’s Carnival, the opportunity also existed for expatriate Grenadians and their siblings and all persons with Grenadian roots to be able to return home during the summer months of the North American and European seasons. 1981 was a most memorable year for fans of Carnival in general and fans of calypso particularly. Calypsonian Timpo rocked the Queens Park to walk away with the coveted Calypso crown and was the undisputed Road March winner with a song entitled ‘We Want We Carnival’. In 2006, the 25th anniversary of August Mas, Marieo Castle recorded a re-make of Cybert’s 1987 hit ‘August is the Time’, a song that still receives a fair amount of airplay in recognition of the importance of that time of the year to Grenadians. While August carnivals have produced some lasting carnival memories and arguably the best-produced music by Grenadians the administration of the nation’s “largest and most significant cultural festival”, still leaves many Grenadians pleading; we want we traditional mas, we want back we large fancy bands, we want back large numbers in Dimanche Gras, we want better panoramas, we want better planning, we want a year-round commitment to carnival, we want more investment in carnival by Government, we want development of the carnival product, we want more committed persons to be at the helm, we want training for the young producers so we can have better songs on air. In short, We Want We Carnival,so that August will indeed be the Time!